1) All foods that contain fat contain all three fats – saturated, monounsaturated and polyunsaturated – there are no exceptions. 2) The only food group that contains more saturated than unsaturated fat is dairy. Not that saturated is better or worse than unsaturated – but just to state a fact. 4) The mackerel shown has twice the total fat and 1.5 times the saturated fat of the sirloin steak shown, yet public health advisors tell us to eat oily fish and avoid red meat in the name of the dietary fat guidelines: total and saturated. 5) Olive oil has 7 times the saturated fat as the sirloin steak shown. “But we wouldn’t consume 100g of olive oil” people say. “No – but 1 tablespoon of olive oil can have more saturated fat than a 100g pork chop.” (Sources at end). 6) When you know a few facts about food, you can make a mockery of our dietary advice. Sirloin steak; Eggs; Mackerel; Lard; Almonds; : Olive oil: 1% fat milk and a Pork chop. Thank you for the interesting article. I’m a complete layman when it comes to nutrition. I try to read up on this science as much as I can so that I’m aware of which foods or fats are healthy. With regard to Sirloin or beef in general, would the proportion of saturated and mono/polysaturated depend on whether it is grass fed or grain fed and it’s upbringing ? Also what are your thought about coconut oil and olive oil used as cooking oil and which is better (in terms of stability, nutrition etc) than the other ? 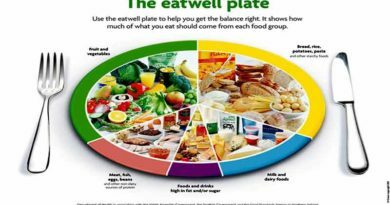 This may help with the second query (http://www.zoeharcombe.com/2016/05/types-of-fat/). Coconut is more stable than olive oil and olive oil is more stable than sunflower oil. This latest research is causing heated debate in my home. I would welcome your thoughts. Thank you I love your work and look forward to your posts. Anything exploring new ways of tackling cancer is to be embraced, because our record on cancer is not good. When there are fats in the blood, they are triglycerides. The biggest dietary determinant of triglycerides is carbohydrate. Hence it could be that cells feed off glucose directly and indirectly. This is interesting, but by no means definitive. Loved your talk on fibre at Denver Low Carb which I watch on the live stream. One of the key points with fat is it stops you feeling hungry for longer. I leant this from Dr Jason Fung , The Complete Guide to Fasting. 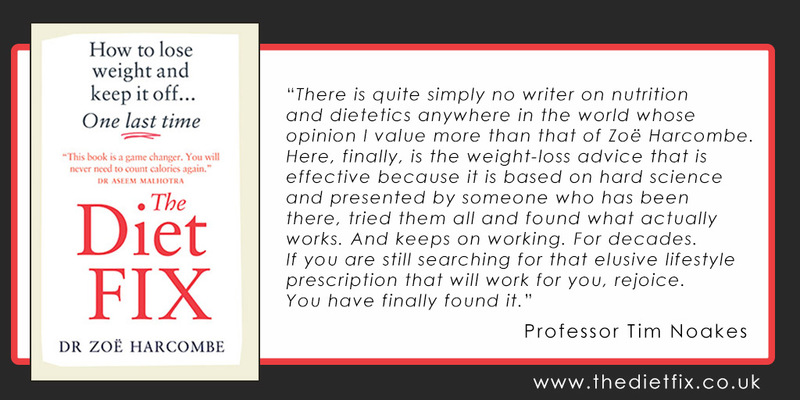 I came to you late in my education, Diet Fix very well written. Thank you. Living the dream, 4 stone lighter, still drink Bitter – cannot watch rugby without it, and no weight gain. Thanks Martin – rugby – another great love! 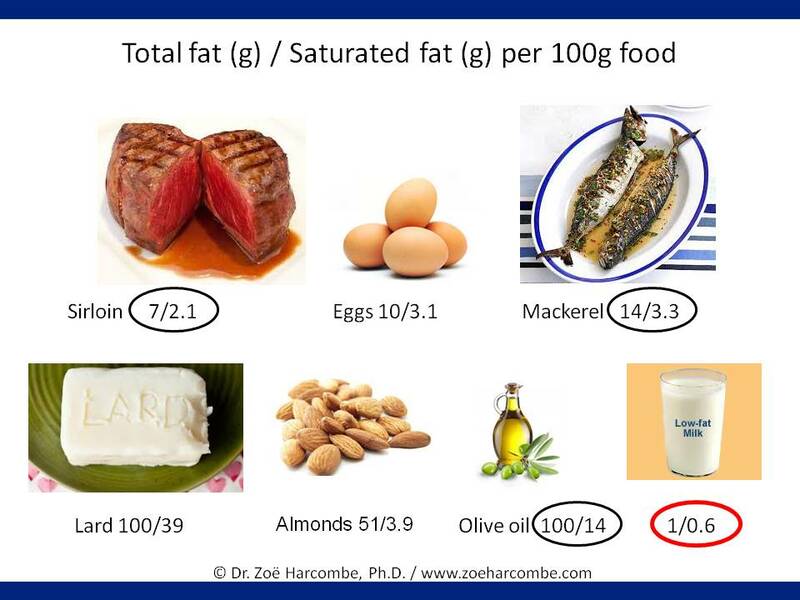 But is it not the case that saturated fat in olive oil, nuts and fish for EG is better for you than the saturated fat in red meat and dairy for EG? In other words, why do some justify saturated fat in non animal sources as being better or safer than saturated fat in animal sources? Saturated fat is saturated fat, just as cholesterol is cholesterol. 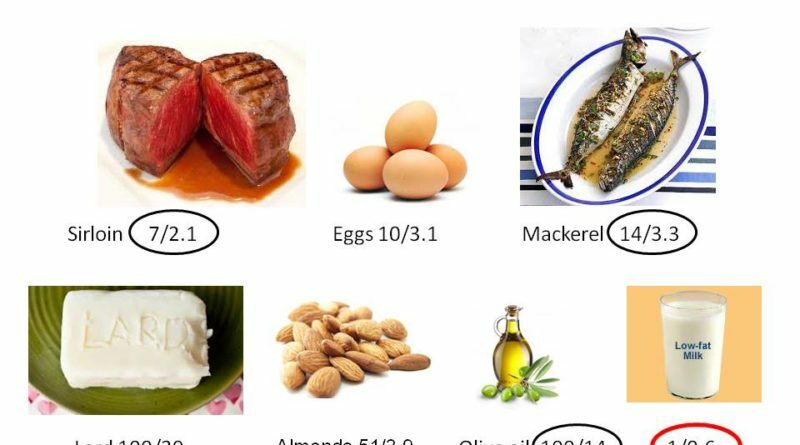 There are different chain length saturated fats in different foods in different amounts, just as there are different chain length unsaturated fats in different foods in different amounts. Many people actually think that all saturated fat comes from animals and unsaturated fat comes from plans. There are differing degrees of ignorance! Always enjoyed your talk with Bill Padley on TRE. 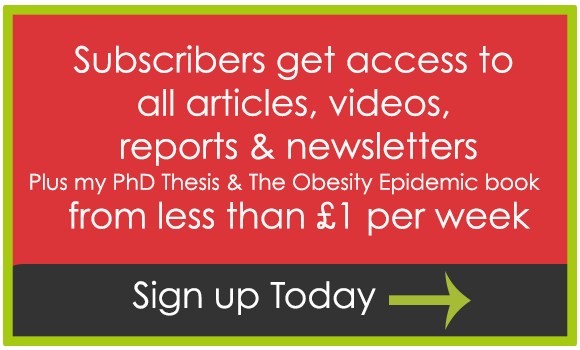 Thank you very much for putting the record straight and so succinctly; Statins and now Fats. Butter and Lard is now very much on my agenda. May I ask is taking a tablespoonful of first pressed olive oil every morning beneficial? Thank you and look forward to your next talk. I can’t think of any benefit of taking a tablespoon of olive oil each morning. It has some vit E and K, but nothing else to write home about. You could get far more nutrition from having (say) 100g of sardines – at a similar calorie count! Butter and lard are much healthier than margarine or man-made fats. However, don’t eat it as if it’s cheese unless you’re slim and active! Many thanks for supporting Bill’s show. I can’t give you advice – I can give you opinions/facts. In my opinion you seem to be avoiding processed food and eating natural food, which is a very good start. Your shake is very high in sugar (http://www.zoeharcombe.com/2015/12/sugar-in-fruit/) and fruit is not that nutritious. 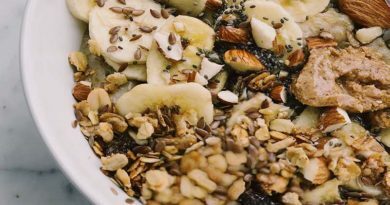 You’d be better off having scrambled eggs/an omelette/a tin of fish and some salad/or even just more natural yoghurt and less fruit – an option with more nutritious/less sugary stuff. Tea sounds good. 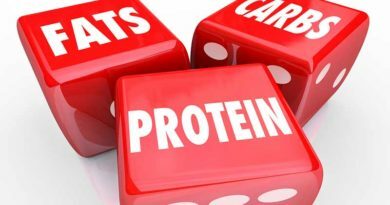 The salmon/salad/steak/mushrooms/tuna etc are the nutritious bits – rice is generally better than pasta, but neither bring as much nutritionally as meat/fish/eggs/dairy/veg. 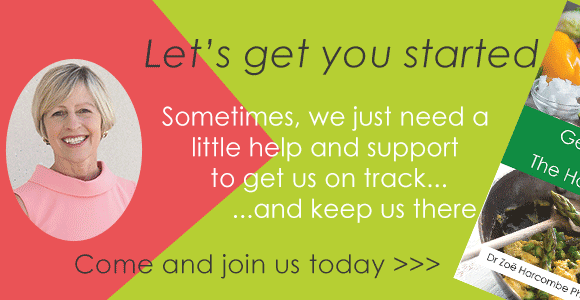 Bottom line though – if you’re losing weight, you’re doing something right. If not – rethink. The only natural food that has 100% saturated fat would be coconut oil. 87% saturated, 6% mono and 2% poly. (Things rarely add to 100 on this database – measuring foods if not an exact science). So what’s the point behind this post. I mean other than making a mockery of the facts along with the standard dietary recommendations. As you know, not all unsaturated FAs are created the same. You have MUFAs, PUFAs, long-chain PUFAs, & very long-chain PUFAs, omega-3, omega-6, etc. Also, saturated FAs come in different sizes, short-chain, medium-chain, & long-chain with different metabolic & regulatory profiles (compare butyric, lauric, & stearic). Also various combinations of saturated & unsaturated may have distinct metabolic effects. As you say, I know all of this – is it not enough to make a mockery of dietary recommendations?! If they were sound, one would not be able to do so! Perhaps They should be honest about their motivations, they want us to stop eating what they call “saturated fat” because animals. A “plant based” diet does NOT exclude industrial plants. Excellent post! I have seen this material from you before in print and video. I have actually found this information most useful in my daily practice. I see patients every day who are suffering under a long history of horrific dietary advice. You, my friend, are the 800lb gorilla of the dietary debate. When I use your information conventional practitioners are immediately silent, and patients immediately perk up and listen. I use your “mockery” daily to change lives.